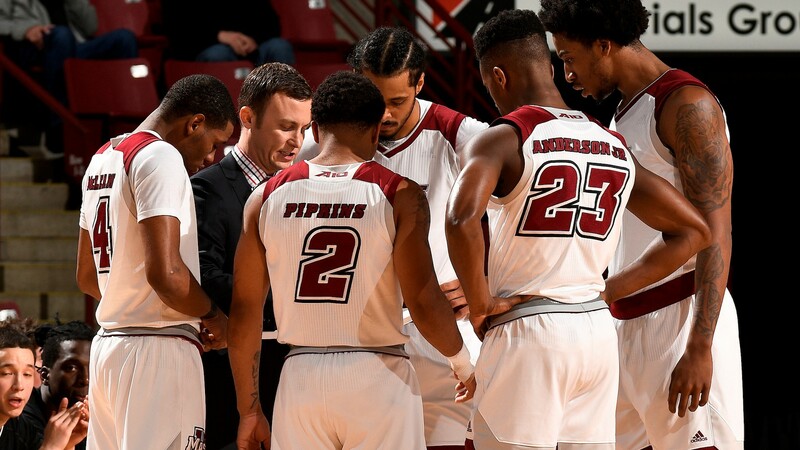 In a game that had the worst case scenario for UMass (Pipkins in severe foul trouble for the whole second half), it was senior Anderson who led the charge, and pushed the Minutemen to victory. He led all scorers with 21 points and also chipped in with 7 boards and 4 assists. It was a great game from a player who has really stepped up as of late. It was his third 20+ point game in the last 4. UMass really only played 6 guys yesterday, so it will be interesting to see how they hold up today. What we do know, is that Anderson will be hyped and ready to go. Leading by as much as 12 last night, the Rams just could not hold off the Colonials. The season will be chalked up as one full of injuries, and that was again seen yesterday, as Slanina had what appeared to be an issue on his lower jaw, that kept him out for the end of the first, and beginning of second half. Perris Hicks also went down in the second half, and the Rams rode a 5 guy group the rest of the way. This team had a lot of bright spots this year, but they just could not escape the injury bug. Whenever the Colonials needed a shot throughout the course of the game, it felt like it was Bolden providing what they needed. He finished with a game high 22, which doubles his season average this year. And of course, we can’t forget Bo Ziegler, who posted 16 points and 7 rebounds in only thirteen minutes. It is only right to expect Watanabe to have a stronger game tonight, and if so, the Billikens better be careful. The Colonials will have the crowd on their side, and if these three all play well, with the physicality of Toro down low, the Colonials will be hard to beat. Yeah, Fordham had a rough time with injuries this year. With 2 transfers coming in, hopefully Evans, Ohams and Bunting back and healthy, and what looks like sneaky good class in PG Nick Honor, CG Ty Perry, Wing Chris Austin and big man Onyi Eyisi, hopefully they have a full contingent next year and can really implement Neubauer’s D principles. Oh yeah, maybe even grab a rebound or make a 3.